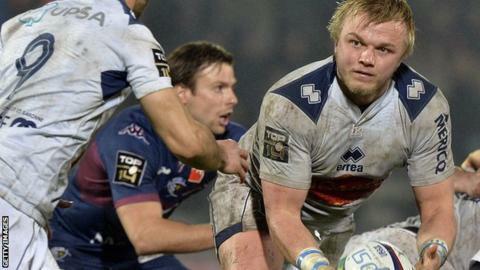 Leicester Tigers have signed back-rower Luke Hamilton from French club Agen. The former Scarlets, Cardiff RFC and Cardiff Blues forward, 24, was a member of the Wales Under-20 squad at the World Junior Championships in 2012. He played Pro2 after moving to France, before stepping up to Top 14 in 2014, impressing with a high tackle count. "Luke can play across the back row and is a young man with some good experience in club rugby," said Tigers director of rugby Richard Cockerill. "We have been looking for another player to join our back row with Jordan Crane and Laurence Pearce moving on next season, and he has done very well in the testing environment of French rugby."